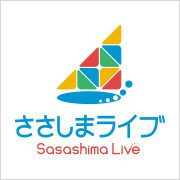 The Sasashima Live 24 Town Planning Association (Sasashima TPA) was founded as an urban development organization in July 2004 by in the Sasashima Live area. Sasashima TPA formulated the “Sasashima Live 24 Area Management Policy” in June 2007 to set land use policy and construction rules for the area in order to promote a harmonic landscape and area value enhancement. In Sasashima Live, a variety of entities including businesses, a TV station, a university and local administration offices work together to establish a hub of international interaction and hospitality. October 2017, marks the grand opening of the town. Please visit and witness the making of a town that grows in diversity. February, 1937 Sasashima Cargo Station opens. October, 1986 Sasashima Cargo Station closes. August, 1999 Plans for Sasashima Live 24 Land Readjustment Project are decided. July, 2004 Sasashima Live 24 Town Planning Association is formed. October, 2004 Sasashima Raibu station on the Aonami Line opens. March, 2005 La Vamo Sasashima (currently called Market Square Sasashima) opens. March, 2005 Zepp Ngoya opens. March to September, 2005 Serves as a satellite venue for EXPO 2005 AICHI JAPAN. June, 2007 Sasashima Live 24 Area Management Policy is formulated. June, 2009 JICA Chubu International Center opens. July, 2009 Regular cleaning begins. April, 2012 Aichi University Nagoya Campus opens. March, 2015 Royal Parks ER Sasashima opens. January, 2016 The Art Grace opens. November, 2016 New head office of Chukyo TV opens. April, 2017 Office zone of Global Gate opens. April, 2017 Main building (research building) and Hall of Aichi University Nagoya Campus open. April, 2017 Pedestrian deck opens. April, 2017 Open square under highway at Ichigo park opens. September, 2017 Shuttle bus pilot program is scheduled to begin. October, 2017 All zones of Global Gate are scheduled to open. October, 2017 Sasashima Live town opening event “Global Days 2017” is scheduled.